I'm not dead a hobo yet; just have been really busy with life lately, including having moved out of my parents' house and into my first apartment during July 2017, and being busy with a new job (in the video game development industry, at long last!) back in January 2017. I plan on making more regular blog posts and updating the website with updated portfolio items from the new job soon! During October 2017, I found an ad on Craigslist about somebody selling an out-of-order Model 1 Sega Saturn in the Pittsburgh area for $25. I never had a Sega Saturn growing up (heck, I didn't even know it was even a part of the 5th video game generation until a few years ago), and usually wasn't interested in looking to pick one up, since they usually sell for anywhere from $25-$70 depending on the condition. The ad said that the console was working at one time, but now wouldn't read disks. After doing some research (via this incredibly useful Youtube video), I found that the common repairs for the CD read issues for Model 1 Saturns were quite simple. Knowing that the fixes can be simple, I decided to reply to the ad. 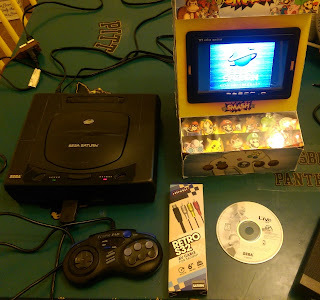 The seller said that the unit wouldn't spin discs at all (let that be CD audio, Saturn, or CD+G discs); nevertheless, I went to see the Saturn unit in person. 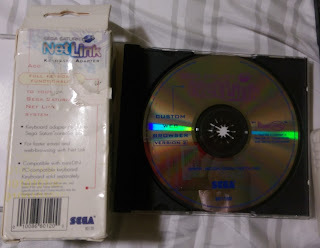 At the seller's residency, I saw that the Saturn could indeed power up, but wouldn't spin any type of applicable discs (however, the unit would display when the CD lid was opened in the BIOS multiplayer). Knowing that the fixes can be easy, I took the risk in purchasing it for repairs. We eventually bargained for $22 for the Saturn and a generic 2 prong power cable. 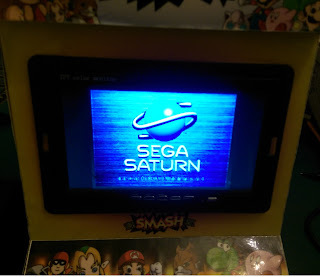 After a lot of troubleshooting (and help from the previously linked Youtube video), the Saturn was quite easy to repair, and works perfectly now. CD drive fully repaired afterwards. It's still possible in 2017 to play Netlink-enabled games online on the real Saturn hardware, via either an old-fashioned 56k dial-up connection (if you still have such connection) or over modern-day ethernet via a VOIP adapter. I really look forward to playing these games online in the near future after acquiring an unlocked Cisco / Linksys SPA1001 FXS VoIP Phone Adapter (maybe for Christmas 😉 ). 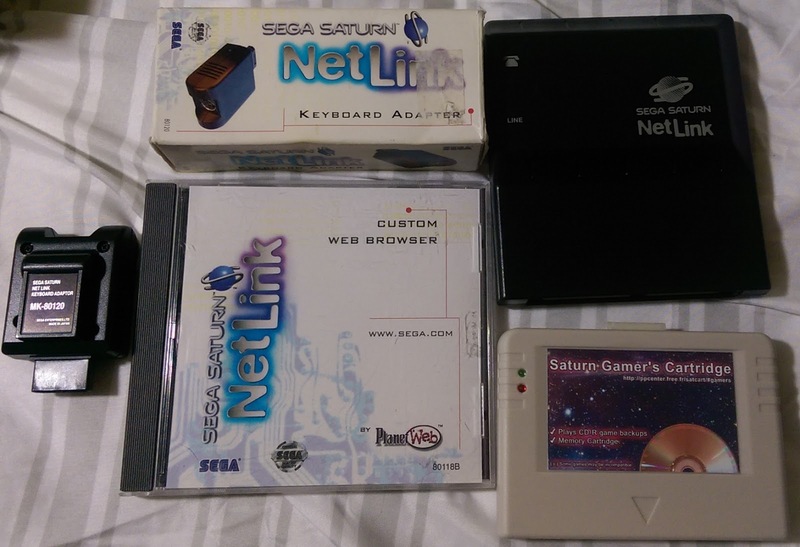 As for the keyboard adapter, that would be used for chat in Netlink games, and also for tinkering around with a copy of Game Basic for Sega Saturn later on. It's an obscure Japanese Saturn game that has a BASIC interpreter, used for creating Saturns games/software, in order to create some homebrew games in the future 😃. Below is a quick video I created discussing the repairs and some of those Saturn pickups. I plan on making more videos like this (but better quality), for reviewing old video game console hardware/repairs, and reviewing some video games in either a future Youtube channel called "Nerdology" or a Twitch channel. Overall, picking up that cheap $22 Saturn was worth it, considering how easy it was to repair it. The Saturn was a somewhat obscure Sega console (it didn't do very well at all in the US, but was wildly popular in Japan). Although it could do 3D graphics, it's strengths lie in its 2D graphical abilities, which is where its game library shines. 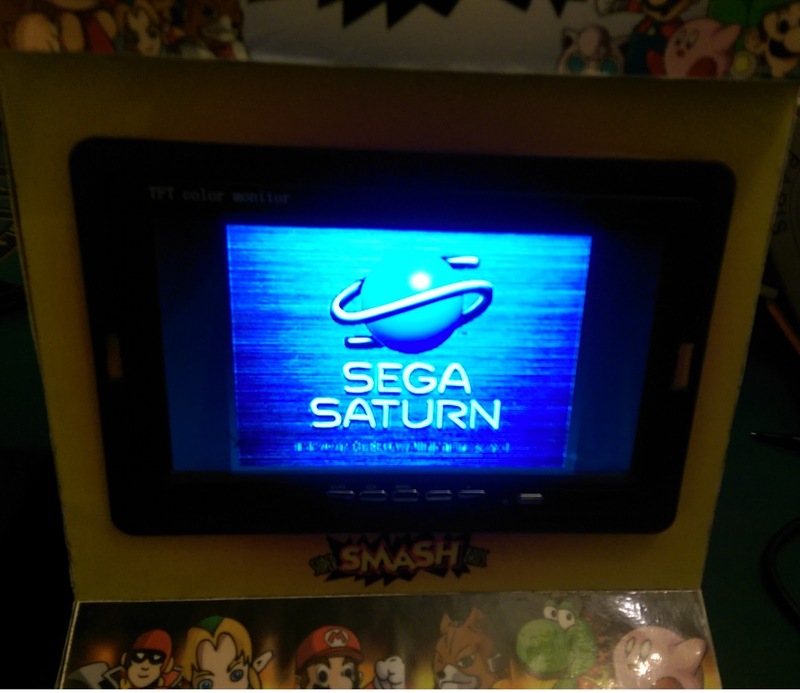 Exploring the Saturn library with this repaired Saturn will be fun.